The event featured about 25 fashion and 10 food brands. The shopping expo had accessories ranging from oxidised anklets, temple jewellery to funky jhumkas. CHENNAI: With different kinds of pop-up, Buva House in Khader Nawaz Khan Road buzzes with activity every weekend. The latest exhibition, Madrasa Pop Up, debuted with its first edition this weekend. 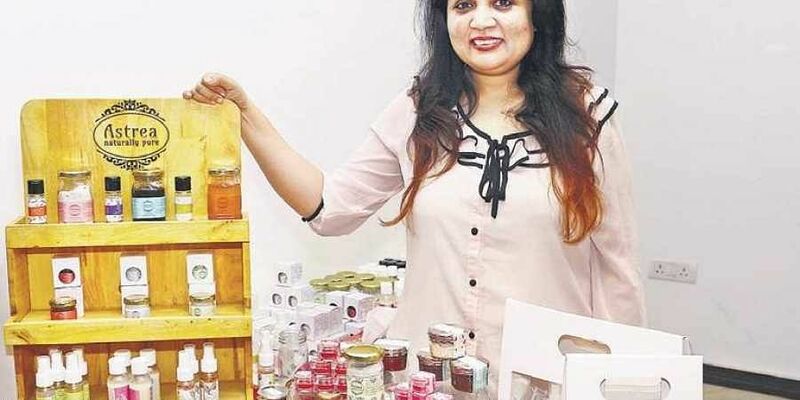 The two-day lifestyle and food exhibition was curated by city-based entrepreneur Rekha Shanmugam. Three years back, Rekha started an event company called Gold Star Events. “After organising many events for others, I decided to put together my own show. ‘Madrasa’ means the love for Madras. And so, all the brands are homegrown. While some are new, others are established,” says Rekha, who ensured the brands were pocket-friendly for visitors. The event featured about 25 fashion and 10 food brands. The shopping expo had accessories ranging from oxidised anklets, temple jewellery to funky jhumkas. For skincare junkies, there was Swatcha, a brand that offers serum, body wash, gel, foot soaks, balms, and soaps. We were told that some of the flavours trending in the market are charcoal, peppermint, and cocoa scrubs. For print lovers, there were printed maxis, ikat printed bags, embroidered potlis, jutis and silk saris. What caught our attention was The Personalizing Studio, which offered options to customise personalised poems on cards and books. The stall also had a vintage typewriter, which had quite an audience feasting their eyes over it. The food stalls were a definite crowd puller. Milkshakes, sandwiches, and kebabs were keeping up the energy levels of shoppers. More than four stalls had a line up of cupcakes in all sizes and shapes with icing on top. Annie’s Cakes and Cookies offered chocolate and lemon cookies. another pop-up by year-end, and a Chennai Fashion League down the line.